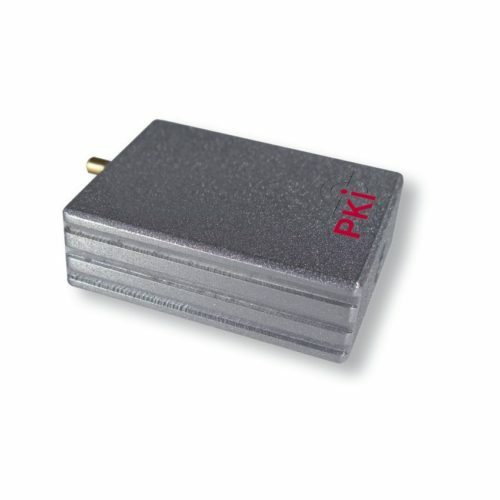 No way to have smaller dimensions with the same features like the PKI 2460 offers. With its size of 80 x 52 x 22 mm it really fits into a cigarette package and can perfectly be used for mobile and disguised observation tasks. In combination with our PKI 5745 camera, it unites to a complete bodyworn system with most effective camouflaging. The on-screen display allows a very simple handling and each input can be done directly at the unit. For playback, a TFTmonitor is integrated (larger monitors can be connected). Audio and video recordings are stored on a 4 GB SD-card with approx. 65 minutes per 1 GB i.e. up to 260 minutes of recording time is possible. The relating SD-card slot is integrated into the unit. PKI 2460 will also supply the necessary 12 VDC power for the camera. Power supply: Li-Ion accumulator with charger/mains adapter, external power supply is also possible.